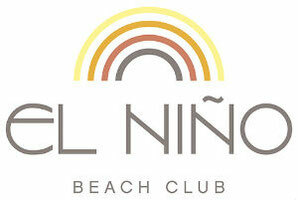 About us - De website van elninobeachclubcom! El Niño is located on the beach on the promenade at the level of Sea Life, near the famous Kurhaus. We are a so-called season company and build from scratch each year from the 1st of March. Next season we will be open from the 8th of March and we start dismantling on the 27th of October. Therefore the last day we are open is the 26th of October. You can visit us every day for breakfast, lunch, drinks and dinner. We also specialise in organising barbecues, buffets, and drinks and cocktail parties for groups. This is possible for companies and for private functions, ranging from 10 to 600 people.